Call us at (813) 455-8245 today. For more information or to schedule an appointment with our Tampa chiropractor, call (813) 455-8245 today! Dr. Joseph Mushalansky is a chiropractor serving Tampa and the surrounding area. Our chiropractor and the rest of the welcoming team at Express Chiropractic are committed to providing chiropractic solutions to address your unique needs, whether you are experiencing back pain, neck pain, headaches, or even muscular tightness and tension. You may be searching for pain relief after an accident, experiencing an injury, or if you suffer from a specific condition like chronic back pain or a spinal condition. Even if you looking to improve your overall health, our chiropractor can help you attain your everyday wellness goals! Visit our testimonials page to find out what our patients are saying about our Tampa chiropractor and our chiropractic care plans. At your first visit to Express Chiropractic, Dr. Joseph Mushalansky will explain how chiropractic care works and give you a full evaluation to see if our chiropractic solutions are a good fit to address your needs. If there is a good fit, we can customize a plan of chiropractic care for your condition and health goals. If you have not been to a chiropractor before and want to find out more, please email us or call (813) 455-8245 to receive the answers to your questions from our experienced team. We also welcome referrals, so we invite you to share our chiropractic and wellness information with your friends and loved ones. 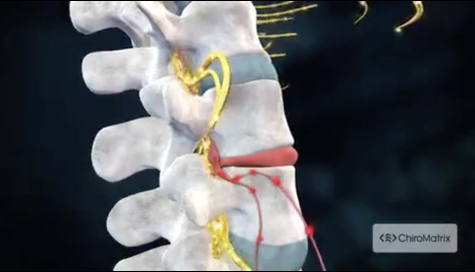 Graston Technique is the world's premier Instrument-assisted soft tissue mobilization technique. Come see how this technique can help you be at your best. ART® is a patented, state of the art soft tissue movement based massage technique that treats problems with muscles, tendons, ligaments, fascia and nerves. Rock Tape is the premier and top-tier kinesiology tape. Learn more about Rock Tape today. Using a specific band meant for the technique, a body part / extremity is safely wrapped & is then moved through ranges of motion, active (the patient performs) and passive (Dr. Mushalansky performs). "Dr Joe has been adjusting me for over 2 months, every week. I also have him do graston technique on certain body groups to help with blood flow and muscle growth. Every session he is able to remember minor details of my previous visits which help both him and I. I have referred numerous friends and clients to him. Everyone who has used him has had nothing but great things to say about him. His is very professional and knowledgable. I am able to call or text and make an appointment. His schedule is very accommodation and he will work with you to get you in, if he's not booked solid! I will not use anyone else to adjust me or preform graston on me." "Best chiropractor in the area!! After many years my wife tried different treatments for her back issue and none seems to work till she had an appointment with Joe. Very professional and humble and ensure to explain everything he is going to do and which muscles or bones are getting benefit from the treatment he is providing. I highly recommend him!!!" "Dr Joe is awesome! When he moved, we followed...I would highly recommend him to everyone! He listens and takes the time to answer any concerns you may have. He’s very thorough with his adjustments and Graston treatments!"